March 8, 2018, Toronto, Ontario –Africa’s largest airline group, Ethiopian Airlines, is pleased to announce that it has started a five weekly flights to Buenos Aires, Argentina, as of today March 8, 2018. Buenos Aires is the world’s capital of Tango, home of centurion old buildings and a vibrant cultural scene. Argentina is one of the largest economies in Latin America and Buenos Aires is the 2nd largest city in South America with a population of over 13 million. 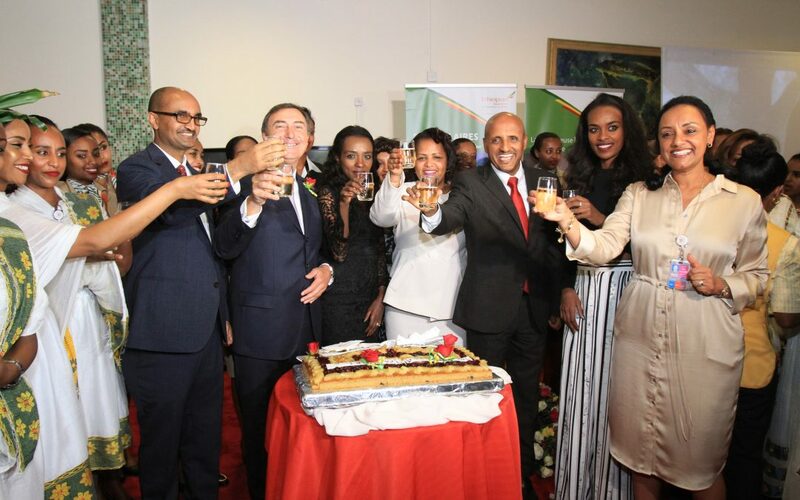 Group CEO of Ethiopian Airlines, Mr. Tewolde GebreMariam, said, “We are glad to add Buenos Aires, our 6th gateway to the Americas, to our extensive global network. Our new flight to Buenos Aires will provide efficient connections to our network in Asia, the Middle East, and Africa, including Beijing, Shanghai, Seoul, Tokyo, Mumbai, Delhi, Dubai, Beirut, Nairobi, and Cairo. We are all happy that the flights will be launched on 8 March, International Women’s Day. To mark this important occasion and as part of our commitment of mainstreaming gender into our core business, we have made the inaugural flight on 8 March an All Women Operated Flight. Currently, Ethiopia is registering rapid economic growth with strong emphasis on industrialization with the construction of industrial zones and the development of tourism in light of the truly unique natural, cultural and historical wealth of the country. As the national carrier, we are fast expanding our global footprint, currently covering over 100 international destinations across five continents, to support the country’s growth by facilitating its access to investors and tourists”. Ethiopian Airlines (Ethiopian) is the largest growing airline in Africa. For more than 70 years of operation, Ethiopian is the continent’s leading carrier, unrivalled in efficiency and operational success. Ethiopian operates the youngest and most modern fleet to more than 100 international passenger and cargo destinations across five continents. The Ethiopian fleet includes ultra-modern and environmentally friendly aircraft, such as Airbus A350, Boeing 787 Dreamliner, Boeing 777-300ER, Boeing 777-200LR, Boeing 777-200 Freighter, and Bombardier Q-400 double cabin. The average age of the aircraft is five years. Ethiopian is the first airline in Africa to own and operate these aircraft.